Despite all this, on the very day that Jonathan Starr returned to Somaliland after trying to secure still more scholarships for Somali students, a particular individual and his organization started a hate campaign against Abaarso Tech, its headmaster, its staff, and its students. In these past 8 days, this well-known individual has used his media sources to falsely claim that Abaarso Tech is anti-Islam. Abaarso Tech’s parents and supporters have defended the school making it clear that they are well aware that Abaarso Tech is run as a proper Islamic school. In fact, a powerful religious group recently visited the school and told the students that Abaarso Tech was run in a more Islamic way than even most Somali run schools. It is clear to anyone who actually knows Abaarso Tech that the school is supportive of the Somaliland Islamic society and the administration sets proper rules for the students and teachers to follow. Unfortunately, the individual who is trying to destroy the reputation of the school will stop at nothing to do so. 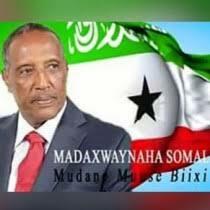 He has published lies including falsely claiming that one of Somaliland’s most respected men was removing his child from the school. The truth was the exact opposite as that parent is supporting the school more than ever before. This individual is putting up pictures of our students in America and claiming they are against Abaarso Tech and its headmaster, even though these students swear in writing and in person that this is an absolute lie. This individual behind the attacks on Abaarso Tech has even used his own university students and paid staff to make horrible claims that Abaarso Tech has insulted Islam. They claim that our Egyptian teachers and Islamic teachers couldn’t stand how the school was run so they left, despite there being absolutely no truth to that story. Our Egyptian teacher remained at school for 2 years as has our Islamic Studies teacher. As Abaarso Tech’s parents have made clear, there is no truth behind these claims that Abaarso Tech is anti-Islam. Abaarso Tech is even aware that this individual has offered “everything you want” to former Abaarso Tech students in return for the students making up lies about the school and its management. After receiving that offer, one of these students even went on TV saying that the girls at Abaarso Tech don’t wear headscarves. This is a blatant lie and everyone who has been to Abaarso Tech or has seen the students knows that. They are even spreading misleading half-truths where they leave out essential parts of the story. For example, the webmaster for this individual’s university went on TV saying that Abaarso Tech teachers told him to take down his university’s website. This is true but misleading. This man’s university was using the “Abaarso Tech” logo and the Abaarso Tech name in a way that would confuse potential teachers, donors and students. The teacher told the Webmaster to take down the website because it was blatantly violating Abaarso Tech’s rights. The Webmaster is just angry that the Abaarso Tech teacher refused to pay him money to do it. Abaarso Tech is reporting all of these hate-spreading lies to the proper authorities both in Somaliland and overseas. It seems that many media organizations are now rejecting attempts to display these false messages of hate, and Abaarso Tech applauds them for doing so. However, there are still some in the media who are reporting these hate messages without checking the facts. Anyone doing so is showing they are not truly a proper media source. Media integrity must exist in a time of hate spreading propaganda. These are the facts: Abaarso Tech has rules and regulations to respect the Islamic religion, and any student or teacher who breaks those rules faces punishment. Abaarso Tech has the support of its parents and students. Abaarso Tech requires girls to cover their hair in public at all times. Abaarso Tech teaches Arabic and Islamic Studies and all those teachers have stayed in the school through their contract terms. Abaarso Tech has a large and beautiful mosque on campus. Abaarso Tech teachers sign contracts that they will not teach other religions and they will respect Islam. The saddest part of this situation is how much time and energy Abaarso Tech must spend dealing with these hate attacks, instead of teaching students and working to get them scholarships. It is possible that this distraction has cost Abaarso Tech students’ opportunities for their future.